The head of the Arab League warned on Thursday that Israel could ignite a “religious war” with its attempts to “control” highly sensitive religious sites in Jerusalem. Israel's actions are "playing with fire, and will only ignite a religious war and shift the core of the conflict from politics to religion", Arab League chief Ahmed Abul Gheit said, according to AFP. He was speaking at an urgent meeting of Arab foreign ministers in Cairo which dealt with the latest violence in Jerusalem. 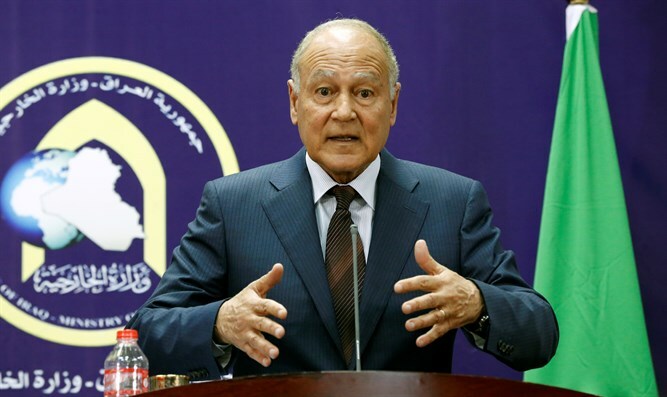 "I invite the occupying state (Israel) to carefully learn the lessons from this crisis and the message it holds," Abul Gheit was quoted as having said in a televised speech. "Handling holy sites lightly and with this level of arrogance seriously threatens to ignite a religious war, since not one single Muslim in the world would accept the desecration of (Jerusalem's) Al-Aqsa Mosque," he added. The Arab League "condemns in the strongest terms Israel's plans and policies that aim to Judaize the occupied city of Jerusalem and distort its Arab and Muslim character," the Arab foreign ministers said in their closing statement. "East Jerusalem is the capital of the Palestinian state," the organization said, "expressing its rejection and condemnation of all measures by the occupying force to diminish Palestinian rights of sovereignty over it." The harshly worded statements came after Israel removed the security measures at the Temple Mount, in line with the demands of the Jordanian Waqf, which administers the site. For nearly two weeks, Muslims have largely avoided the Mount, praying instead near entrances to the holy site in protest of the new security measures, which were placed at the compound following a terror attack by three Arab Israelis who shot and murdered two Israeli Border Police officers earlier this month. Muslim clerics had called upon worshippers to avoid the Temple Mount so long as the metal detectors remained in place. On Thursday, hours after Israel removed the last of the security measures, thousands of Muslims flooded the Temple Mount, attacking police officers who responded with crowd-control measures including tear gas, shock grenades, and rubber bullets.